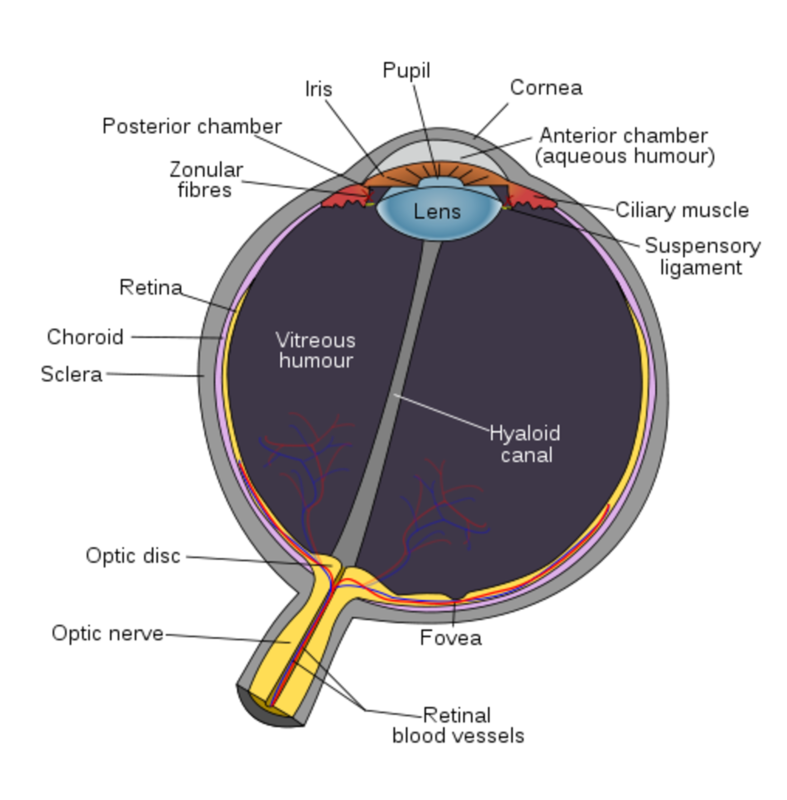 In order to understand the anatomy of the eye, we will discuss the structures on the surface of the eye before we jump into the globe (eyeball) itself. Lids and the tear film. Let’s start with the sclera. The sclera is commonly known as the white part of the eye. It’s basically the shell that holds all the internal structures. It is made of collagen and elastic fibers, and it is covered by a thin membrane called the conjunctiva. 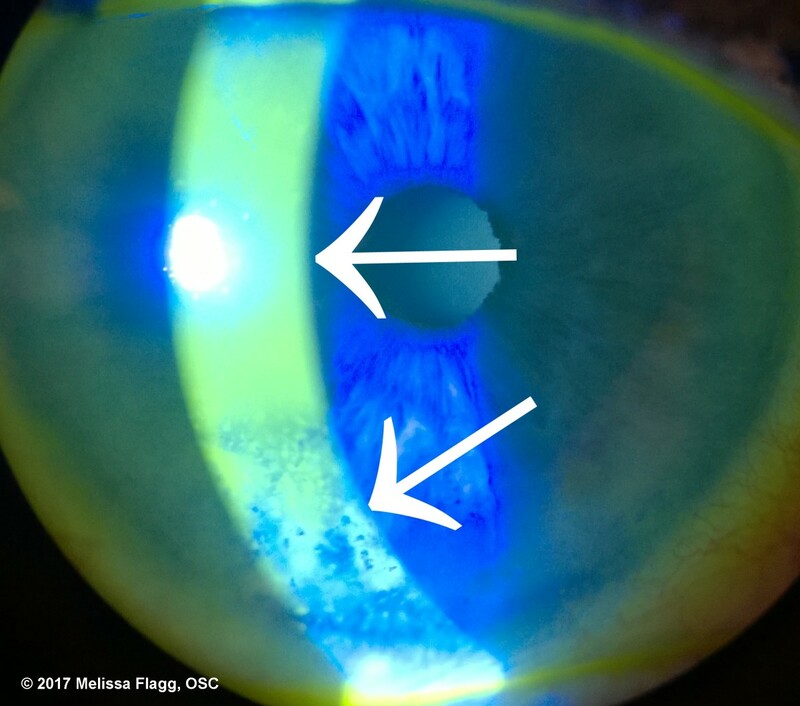 The conjunctiva is filled with blood vessels, and its primary function is to prevent infection of and heal injuries to the cornea. The blood vessels in the conjunctiva dilate in response to these types of threats. This dilation allows leukocytes (white blood cells), nutrients and antibodies to flow into the tear film, which bathes the cornea. The conjunctiva also secretes mucous and oil into the tear film, which keeps the cornea clean and moist. The mucous also acts as a sort of net that catches microorganisms and condenses them into a ball, which is carried to the nasal canthus. The nasal canthus is in the corner of the eye closest to the nose and is the location of the puncta, which are the drains for tears. Allergic conjunctivitis is a typical reaction to allergens such as pollen and cats and is treated with antihistamines. 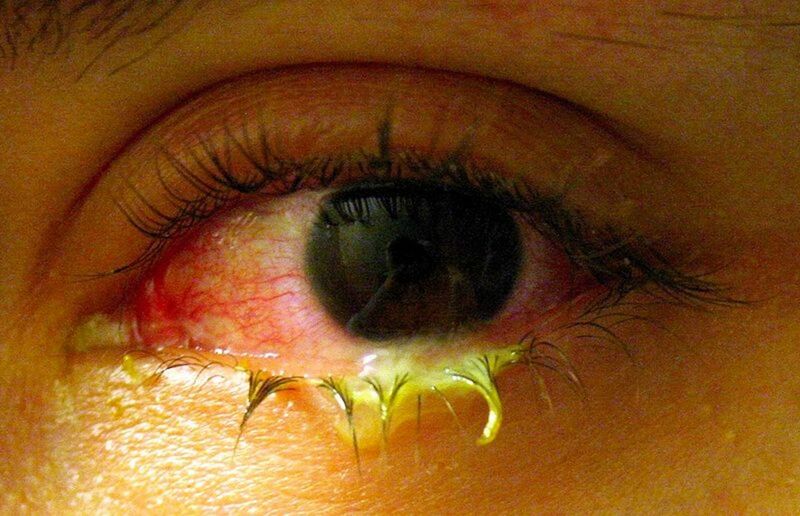 Toxic conjunctivitis is caused by chemicals, and is usually seen during the summer due to the increase in swimming activities, but may also be caused by irritating fumes. Treatment usually involves preventative antibiotic drops. Infectious conjunctivitis is most commonly known as pink eye; however pink eye is specifically viral conjunctivitis. Infectious conjunctivitis can also be bacterial or chlamydial. Viral conjunctivitis symptoms are usually a redness and discharge. The discharge is always watery, it is very unusual to see the viral version of this condition with a purulent (mucous) discharge. Bacterial conjunctivitis, on the other hand, always has purulent discharge and redness. Staphylococcus aureus is the most common culprit although Haemophilus influenzae and Chlamydia are also common culprits. Treatment for viral conjunctivitis is usually unsuccessful, although antivirals are now available and may help speed the healing process. Bacterial conjunctivitis is treated with broad spectrum antibiotics, and cultures are usually taken to verify treatment. The tear film consists of three layers. The first layer is the lipid layer. 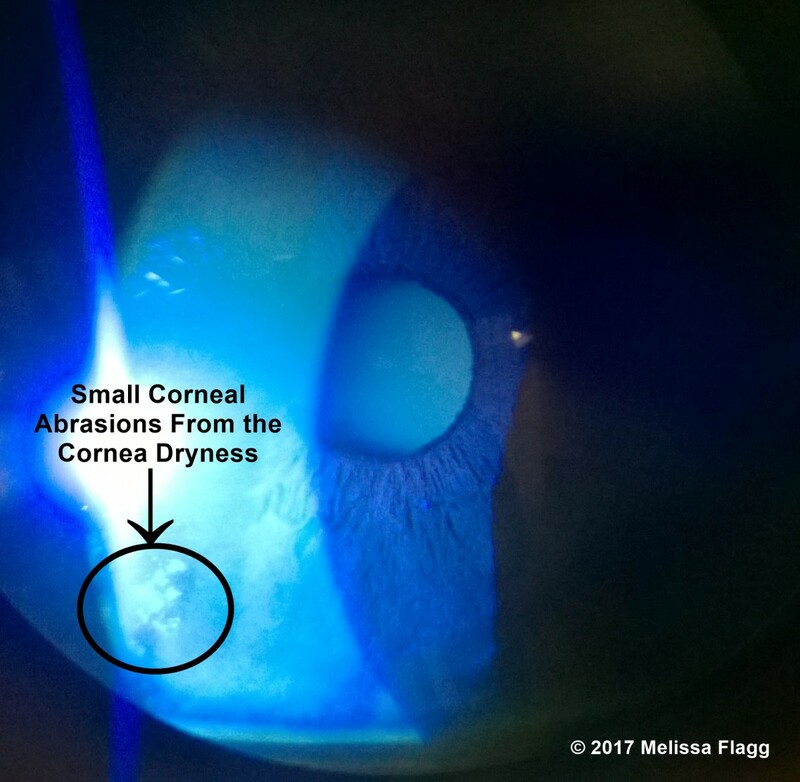 It keeps the rest of the tear film from evaporating and is secreted by the meibomian glands which are located on the edge of the upper and lower lids that rests against the eye. These glands can occasionally become clogged resulting in a chalazion or hordeolum. Both of these terms are just medical jargon for a stye. Treatment for a stye is a warm compress on the eye twice a day for a minimum of 15 minutes, and lid scrubs. These scrubs consist of baby shampoo on a damp cloth rubbed gently on the eyelashes (with the eye closed of course). Lid scrubs can also be purchased at any pharmacy and are individual, medicated scrub pads. 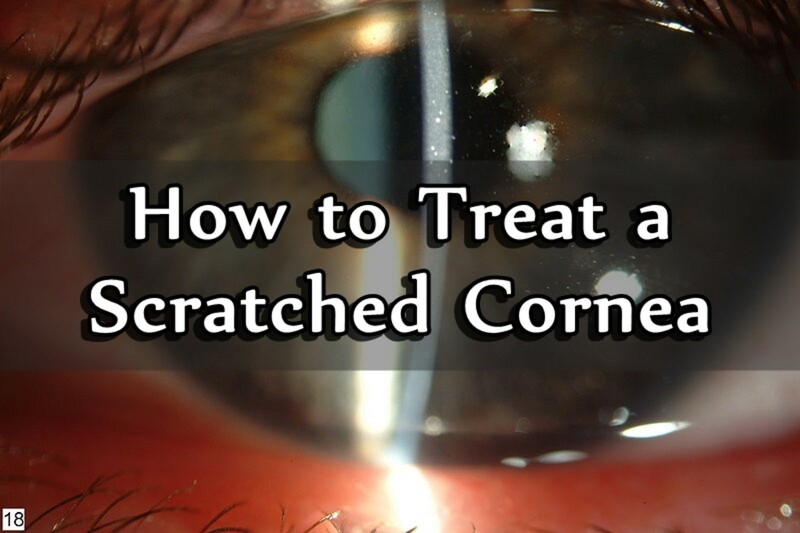 If compresses and lid scrubs are ineffective, the stye will have to be lanced and drained by an ophthalmologist. The lacrimal gland, lacrimal sac, and nasolacrimal duct. The sebaceous (meiboman glands) are also seen in the diagram on the left. The second layer of the tear film is the aqueous layer and is secreted by the lacrimal glands, which are located just below the eyebrow on the temporal (near the temple) side of the eyelid. 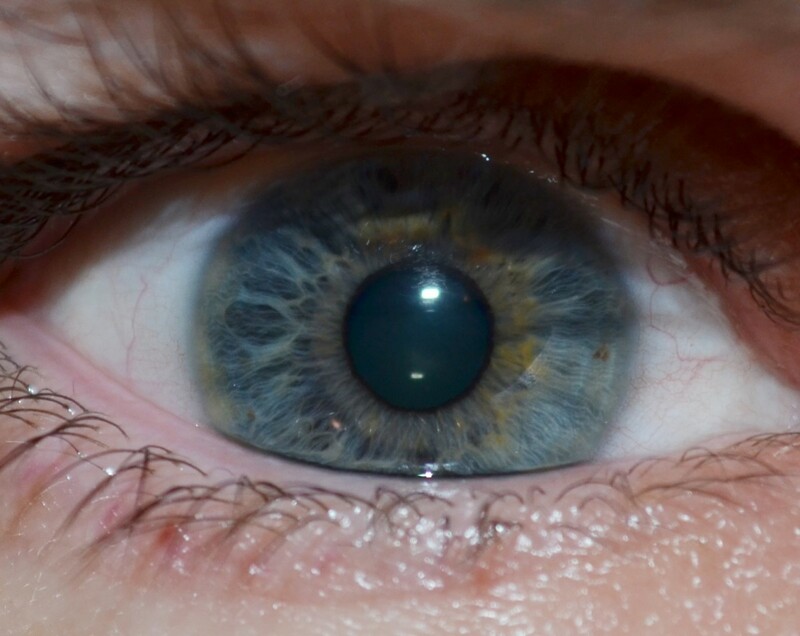 This layer is responsible for keeping the cornea hydrated and supplied with nutrients. The third layer is the mucous layer which is secreted by specific cells in the conjunctiva known as goblet cells. 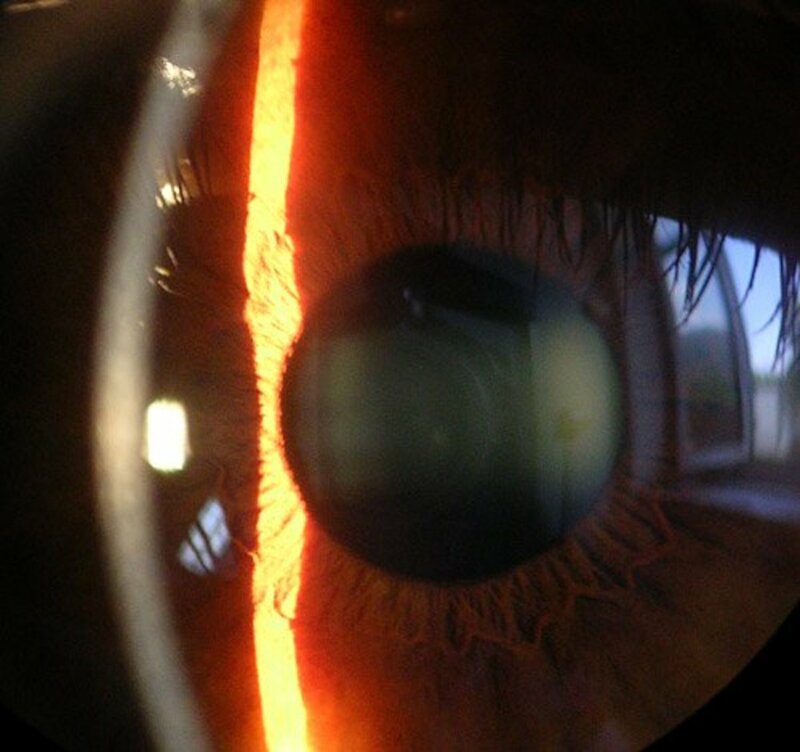 This layer carries oxygen to the eye and fills in irregularities in the cornea, allowing for a smooth refractive surface. It also adds stability to the tear film. The tears drain through the punctum (little drains in the upper and lower lid near the nose) and into the lacrimal sac and then down through the nasal lacrimal duct, which is located along the side of the nose. This is why when we cry, our nose runs. The nasal lacrimal duct drains into the back of the throat which is why, when we are given specific eye drops (such as Omnipred, a steroid) we can taste it. The lacrimal duct can become obstructed and consequently infected. The resulting infection and inflammation is called dacryocystitis. Treatment involves flushing the lacrimal apparatus (the sac and duct), and probing the duct to dislodge any obstructions can be performed in the doctor’s office. In chronic cases that refuse to resolve, surgery is necessary. With a discussion of the lids and adnexa (the structures of the lacrimal duct, sac and the puncta), the issue of dry eyes should also be discussed briefly. Dry eyes can be caused by several different diseases and problems. The most common cause is the aging process. As we get older the lipid layer, that prevents evaporation, starts to become depleted. This in turn allows the tear film to evaporate much more quickly than when we were younger. The depletion of the lipid layer can be caused by a number of things. The most common medications to cause dry eyes are the narcotic class such as Vicodin, Morphine, Valium, and Oxycodone. 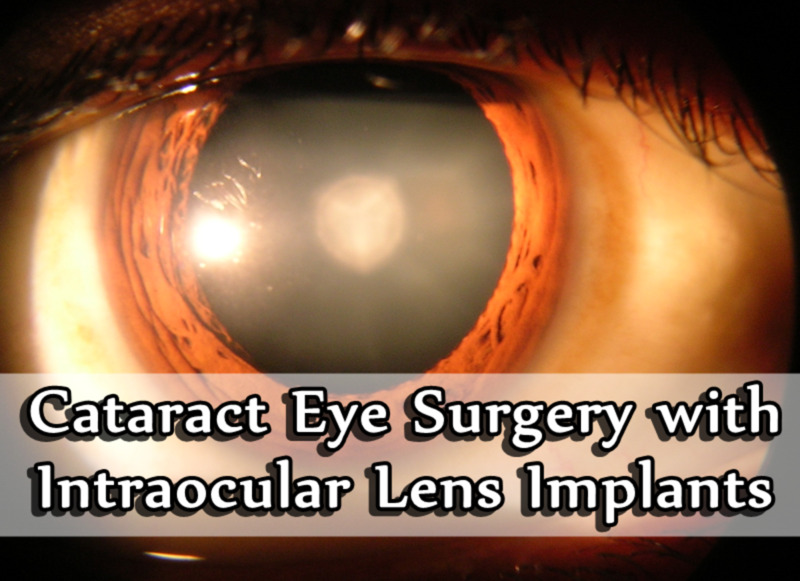 Surgeries such as LASIK and cataract extraction can also cause dry eyes. Symptoms of dry eye syndrome, or DES, can be counterintuitive. Epiphora, or excessive tearing, is usually one of the first symptoms. I’ve heard a number of patients tell me their eyes can’t be dry because they water all the time. This, indeed, does mean the eyes are dry. Excessive tearing is how the eye attempts to compensate for the evaporation of the tear film, it starts overproducing tears. A burning sensation typically accompanies the tearing, as does a scratching or foreign body sensation. 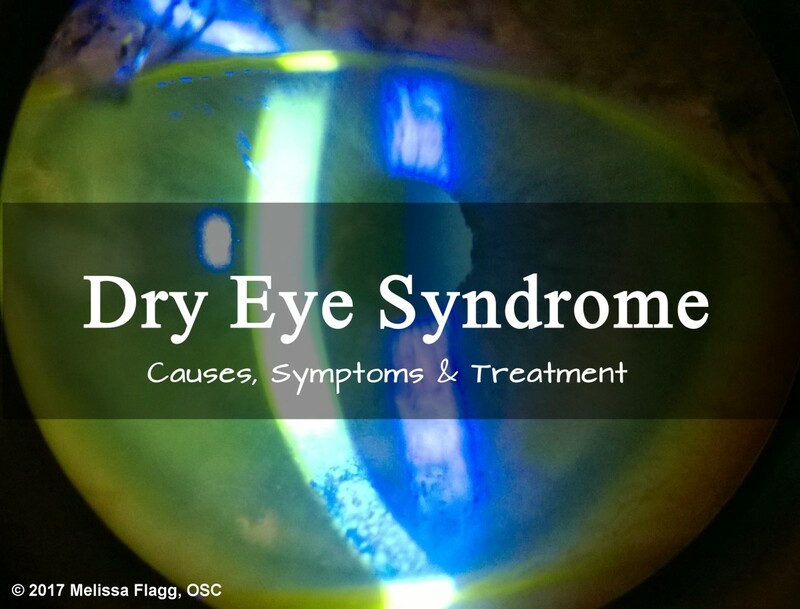 When especially dry, it usually feels as if there is a large rock in the eye. 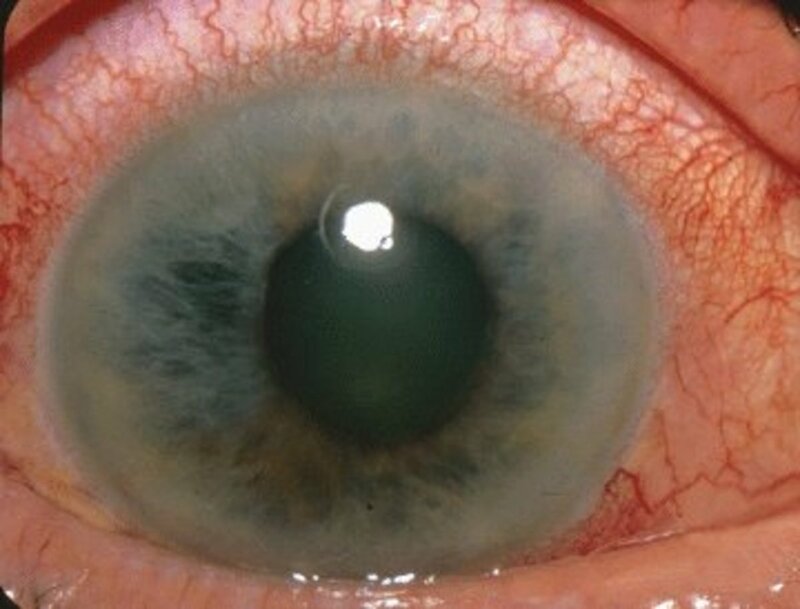 Keratoconjunctivitis sicca, or chronic severe dry eyes, actually causes micro-abrasions on the surface of the cornea. The tear film has become so inadequate that the cornea starts to look and feel like sandpaper. Vision is severely affected at this point. Hazy or cloudy vision, redness and light sensitivity are usually the complaints. There are treatments available for DES. Artificial tears as needed are recommended in mild to moderate cases and is typically sufficient to alleviate and control symptoms in most patients. The eyelashes do have a specific function; they are not just there for women and our mascara (although they work quite well for this purpose). 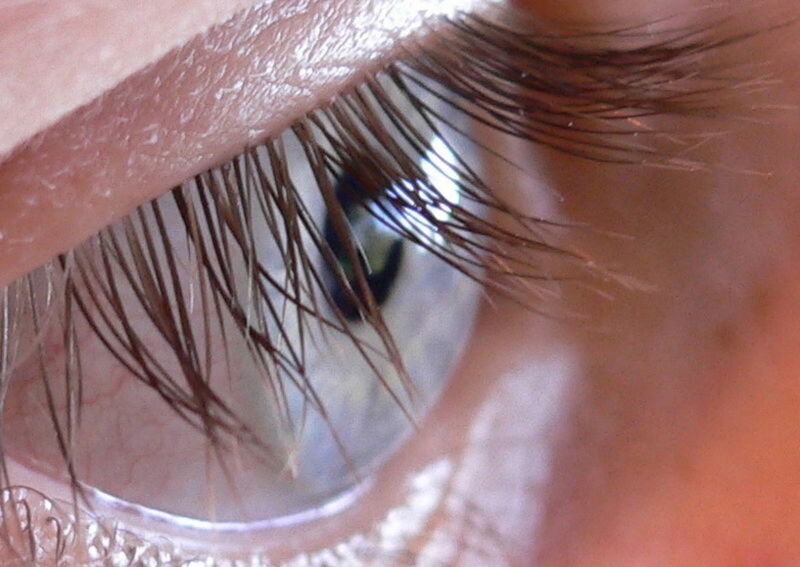 Eyelashes prevent dust particles and other debris from falling into the eye. They also act like whiskers on a dog, or cat.They are sensitive to touch and are responsible for reflexively closing the lid when something comes near the eye. Several ailments can affect the eyelashes, most notably blepharitis. This is an inflammation of the lid margin and its most common symptom is a chronic itching of the lids. The lid margins (where the eyelashes grow in) become scaly and red, sometimes even flaking. Treatment consists of lid scrubs and a prescription drop containing an antibiotic and steroid is used in the eyes nightly. 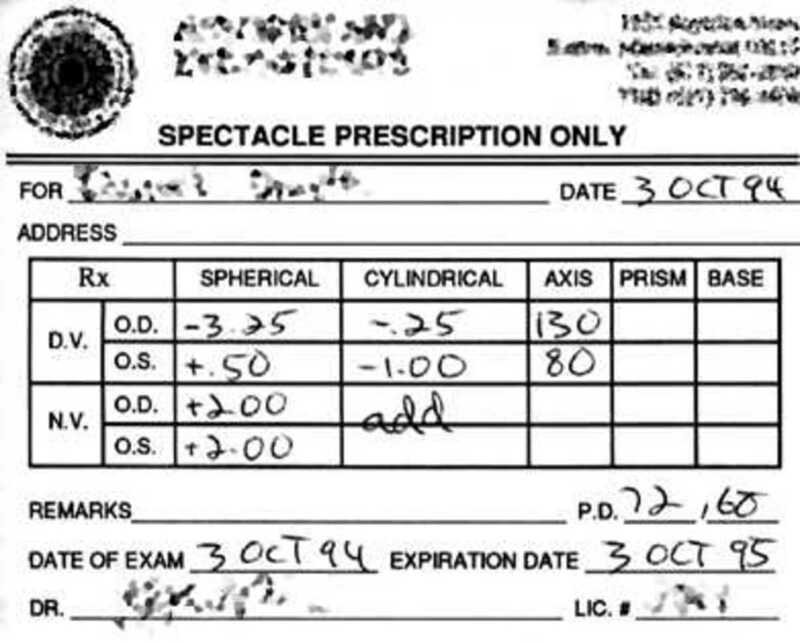 This introduction should provide an excellent foundation prior to your next visit to the eye doctor. If you feel like shocking your eye doctor, feel free to use some of the above medical terms; I’m sure he or she will be very impressed with your newfound knowledge. The next article in the series will include the anterior chamber, iris, lens and cilliary process. @GcoleMD thank you very much! Thank you, its nice to see valuable information published for others benefit. Excellent hub. Voted up, useful, awesome and interesting.